Visitors have accessed this post 190 times. 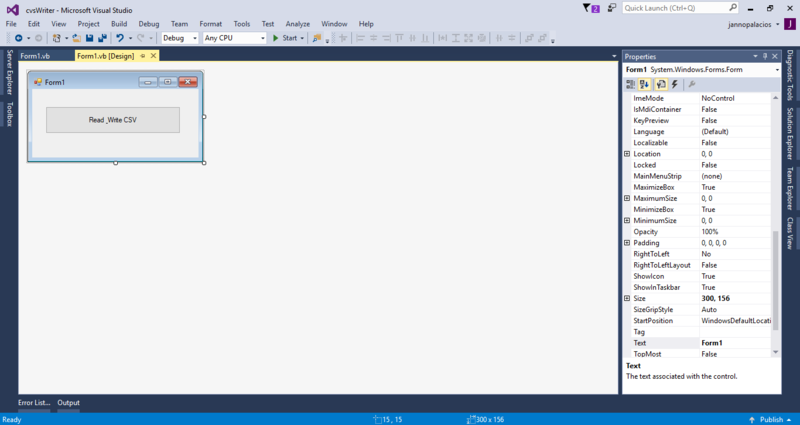 Let’s learn how to create CSV file in Visual Basic 2015. CSV file is a Comma Separated Value that is a commonly used format in text editor such as Microsoft Excel, OpenOffice Calc, notepad and Google docs. It is a plain text file that contains a list of data record. Each of its data record consist one or more fields that are separated by commas. So, in this tutorial, I’m going to teach you how to read and write the CSV file in a simple way. Just follow the steps below to see how it works. 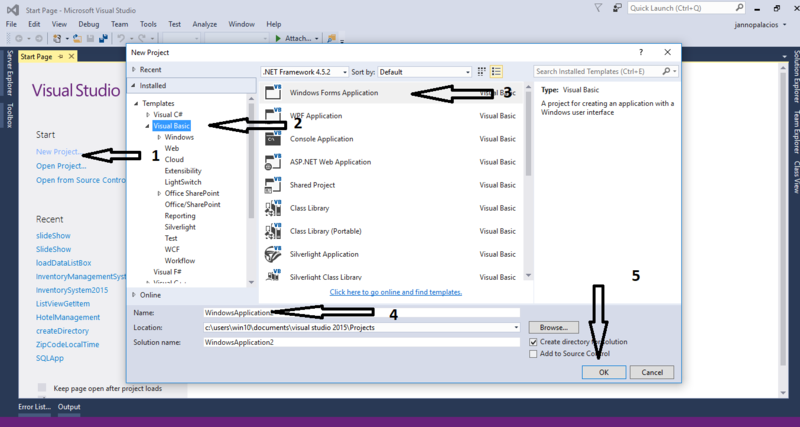 Open Microsoft Visual Studio 2015 and create a new windows form application in visual basic. Add a Button into the form. Create a method to read and write a CSV file using StreamWriter and StreamReader. Double click a button to fire the click event handler of it and do the following codes for reading and writing CSV file in the specified path when the button is clicked.